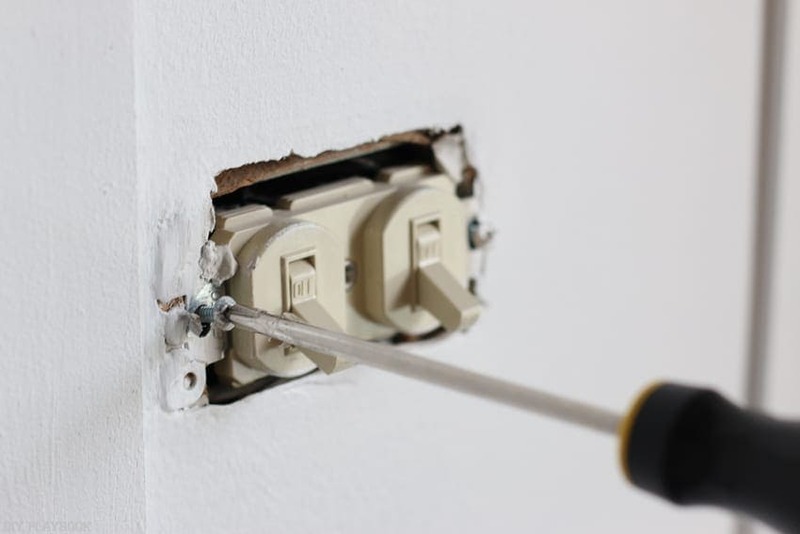 I changed a light switch… ALL BY MYSELF! And to be perfectly honest, I need to THANK you guys, our readers, for encouraging me to give this project a try. <— you guys are the best. 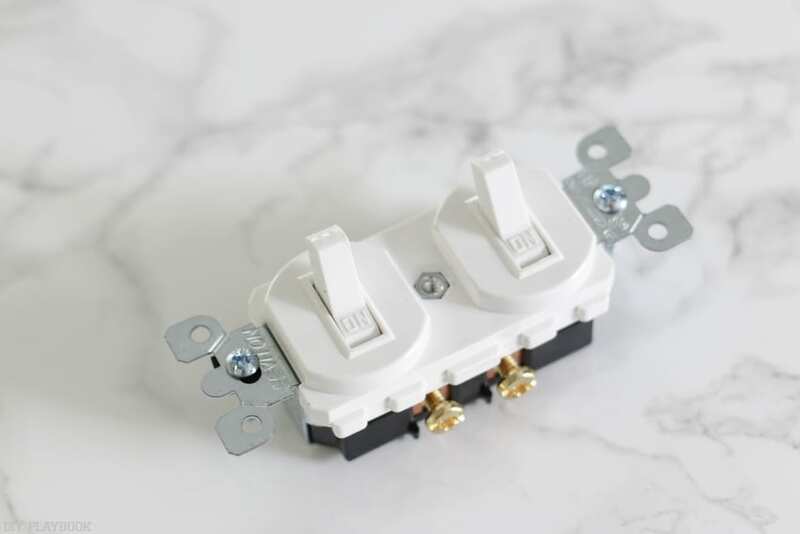 When I shared the fact that I hired an electrician to change the outlet, light switch, and vanity light in our bathroom makeover, many of you weighed in and encouraged me to ditch the electrician and tackle these electrical projects myself. 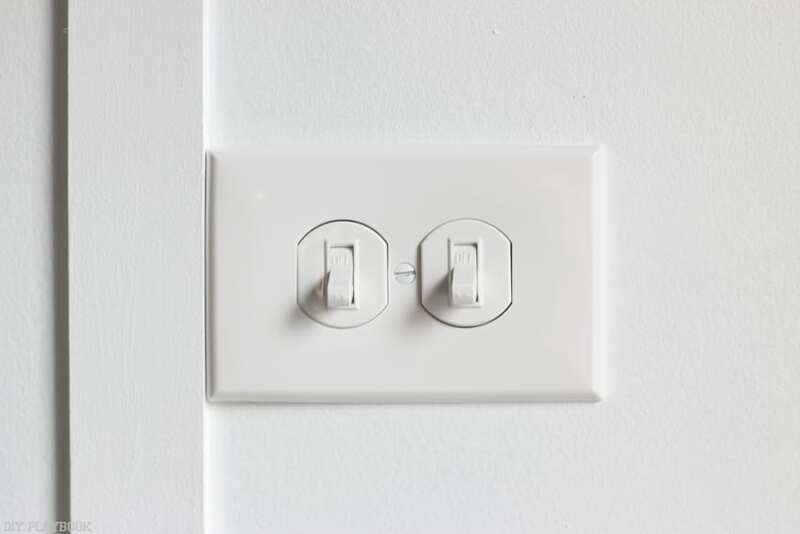 You guys INSISTED that changing an outlet/light switch is not nearly as scary I always thought it was. 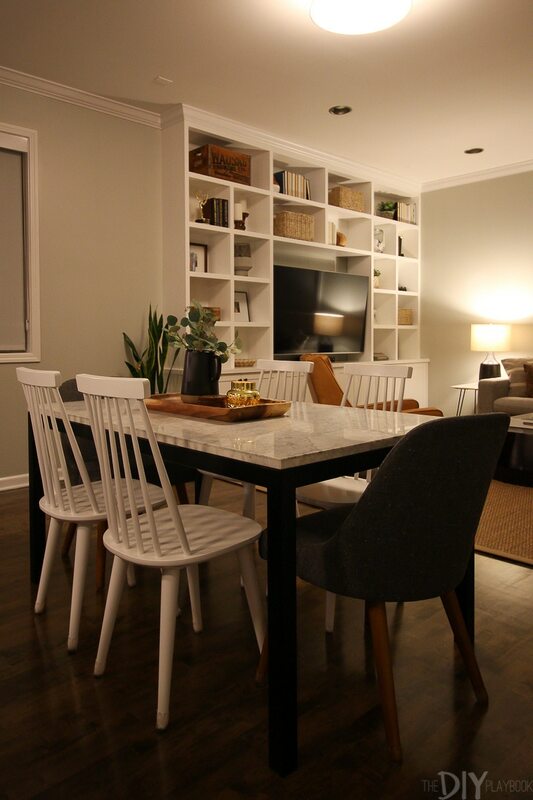 I recently tackled another board and batten project in our home (details on the blog Monday!) and was left with an almond light switch that needed to be swapped out with a new white one. Even though I was still a little hesitant, I had to give it a try… at least once, right? 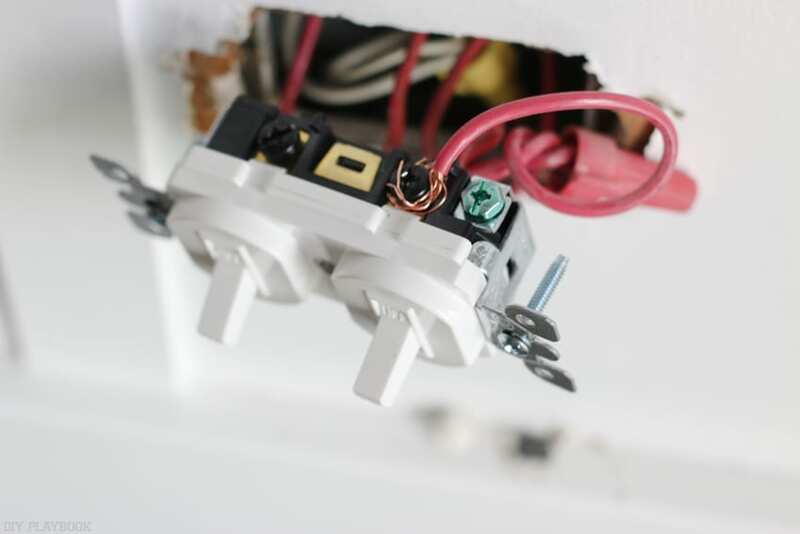 I decided to write this post from a perspective of “what I learned/Rookie Tips” and NOT “how to change a light switch”. 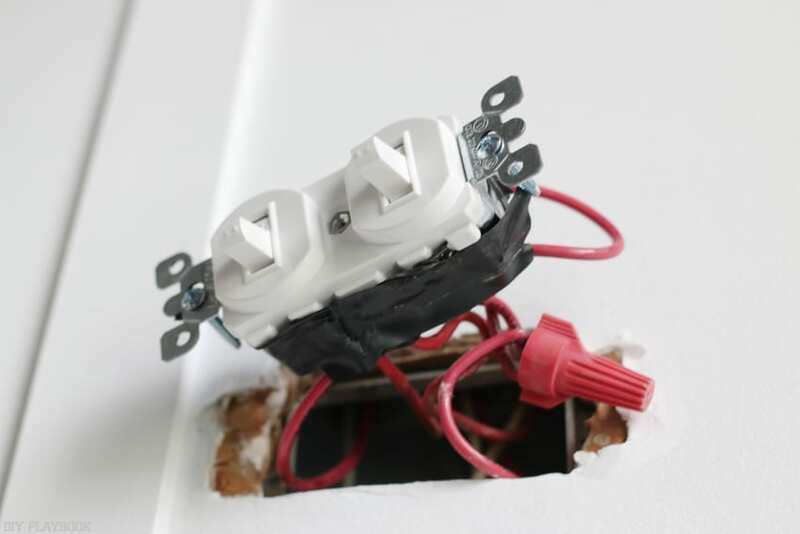 Because this is an electrical project (and electrical can be dangerous if not executed properly), I don’t feel comfortable giving others a step-by-step tutorial… not yet at least. So instead I’m giving you the tips I learned a long the way in hopes that my rookie mistakes will save you from making the same ones. RESEARCH, RESEARCH, RESEARCH before you start! I watched a few videos on YouTube and read a few blog posts about tips & tricks. I wanted to have as much information about this project as possible before starting it. 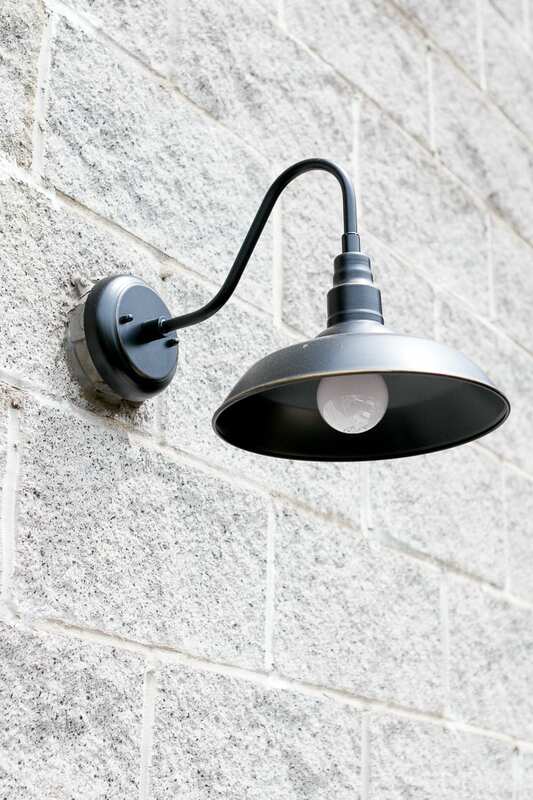 Before you even touch the outlet, you HAVE to turn off the electrical. 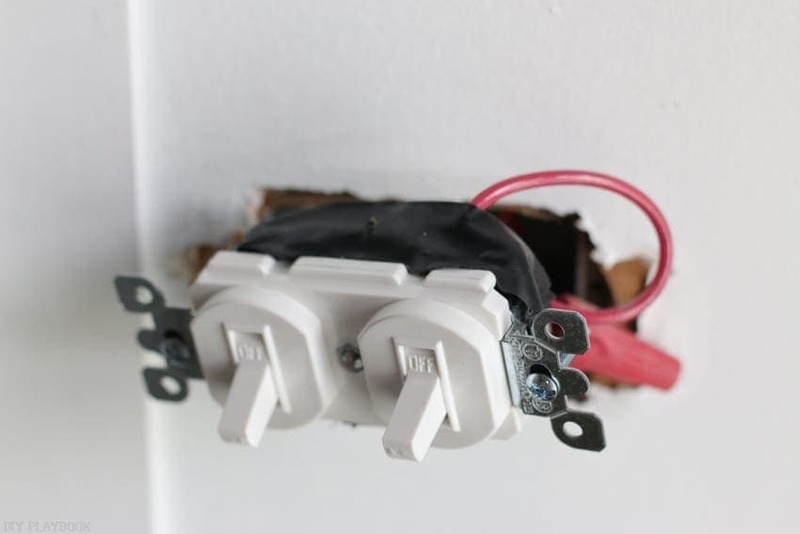 To be extra safe, I turned off the electrical in the entire house (which posed a problem when I wanted to use the internet tutorials to refer back to… oops). But having the electrical off is ESSENTIAL for rookies like me. 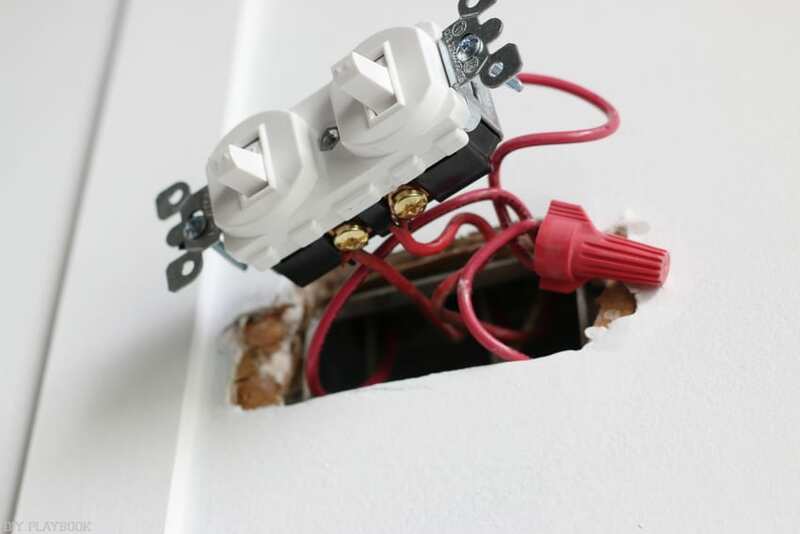 Experienced electricians can swap out the outlet when the electrical is still on, but I would never recommend that to rookies. 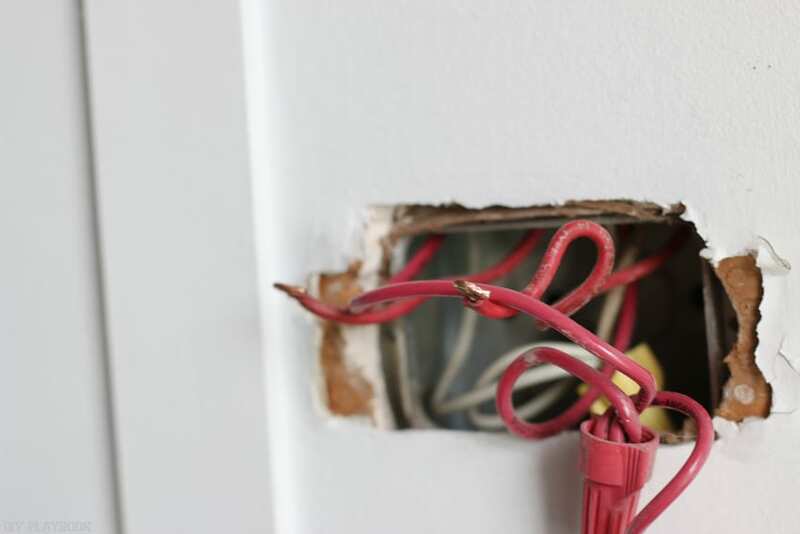 Making sure all of the wires were “dead” prior to getting started made me feel much safer and ready to tackle this project with a bit more confidence. 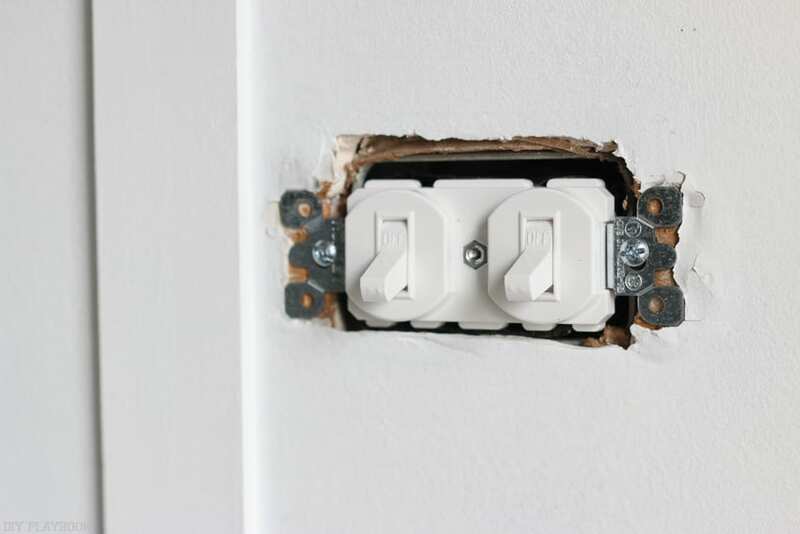 I would highly recommend taking a picture of the old outlet’s connections before removing it. Having a cell phone picture of the wire connections helped me double-check where I was putting each wire, even after I removed the old switch. I would highly recommend this trick because it’s so darn easy and it can make such a difference. Get your supplies ready and nearby before you start. Because the electrical was off (read: no air, no refrigerator, no internet), I wanted to get this project done rather quickly. I definitely wasn’t in a rush, but having ALL of my supplies nearby helped me get this project done in less than 15 minutes. 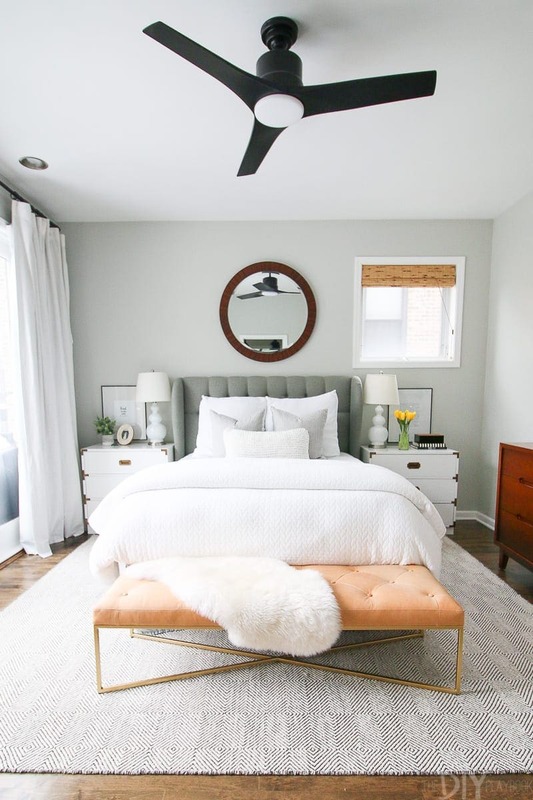 The walls in this room were never primed by the previous owner, so the paint in this space is very sensitive and can easily be peeled back when the wall is in any type of distress. 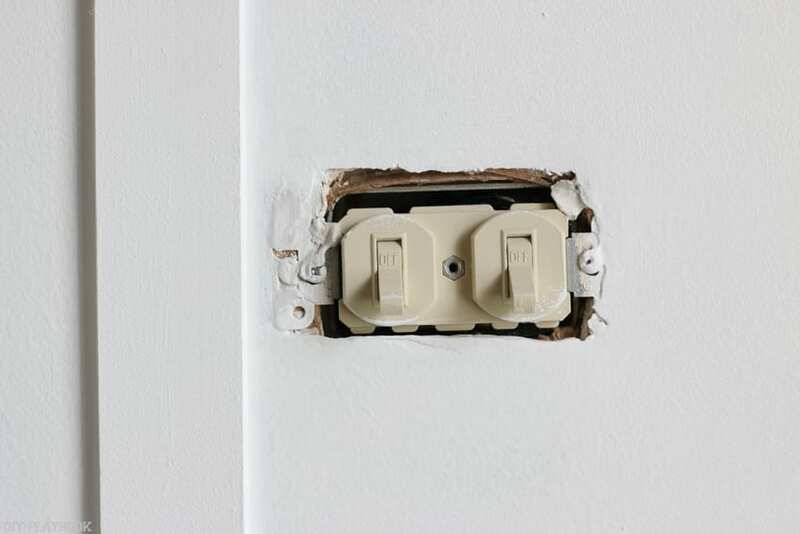 Because I painted over the edges of the original light switch for this project, when I went to remove the outlet some of the new paint peeled back (see it on the right side?). When I realized what was happening, I removed the old switch A LOT more carefully. But some of the damage was already done! 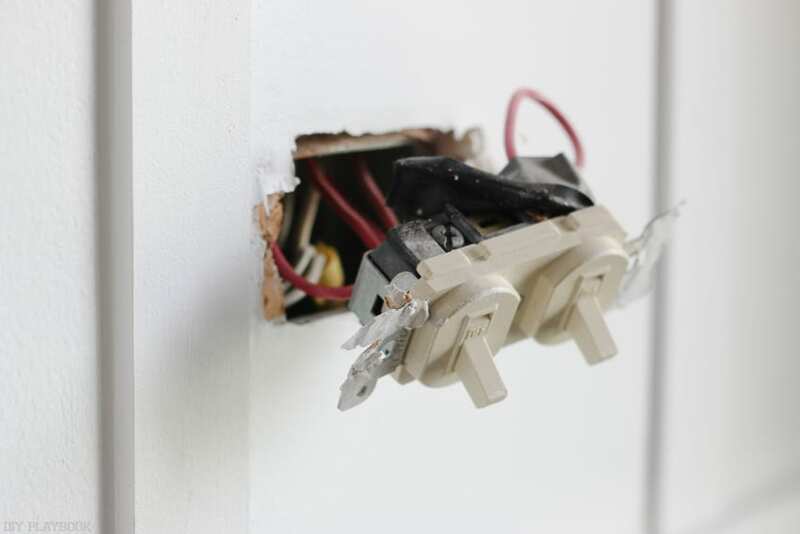 Maybe this won’t happen in your home, but it’s definitely something to note when removing your old switch. Peel it back carefully just to be safe! 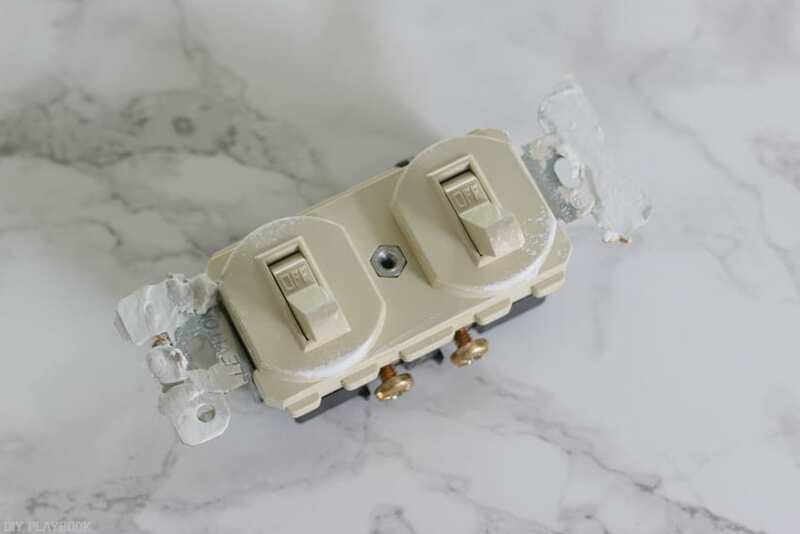 I didn’t over-tighten this specific switch plate cover, but it has happened to me in the past. Once I tightened a switch plate so much that it cracked! Luckily switch plates are like $2, but running back to the hardware store AGAIN is never fun. You guys were right, changing a light switch is NOT as scary as I always thought it was. I’m so glad you encouraged me to give it a try because I would have never tried a project like this without your encouragement and words of wisdom. Thank you, thank you, thank you!! 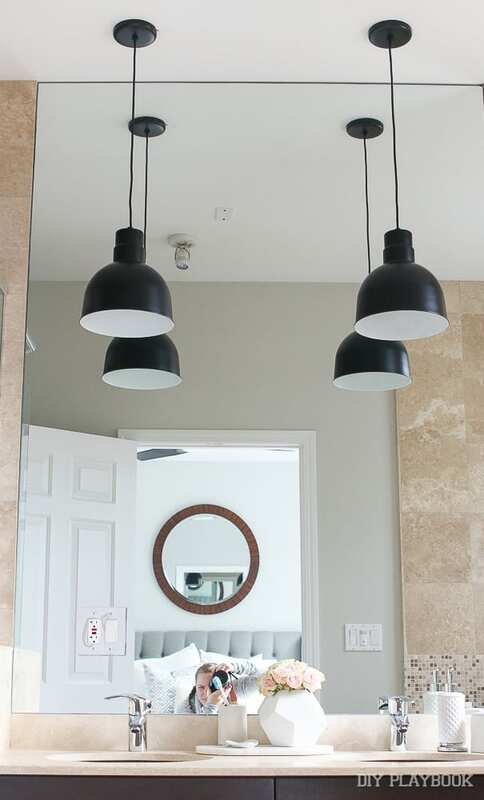 My next goal is to try to change a light fixture (eek!). You guys mentioned that this project is also pretty easy and based on your track record so far, I’m already convinced I can do it!